Sarakino House is a special holiday villa set amongst peaceful surroundings in the village of Agios Dimitrios. A villa built with special care and inspiration from several countries all over the world that can accommodate up to 13 guests and offers private swimming pool as well as exceptional service and high quality facilities for a remarkable and comfortable stay. In Sarakino the originality rules with antique furniture, exotic touch, distinctive artworks and handmade fixtures all combined together in a harmonious result. The villa consists of two separate buildings the House of Literature and the House of Poetry that are used as one accommodation. 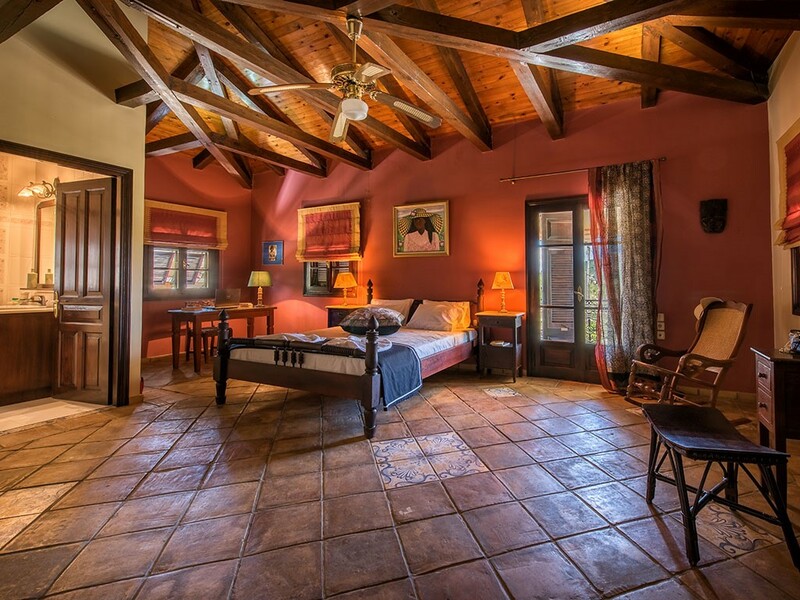 The House of Literature is the main villa that can accommodate up to 8 guests at the four comfortable bedrooms. The villa is spread in two floors the ground floor and first floor. The main entrance leads to the spacious living area and fully equipped kitchen with dining table and breakfast area. At the same level two bedrooms one with 2 twin antique beds and one more with a full size antique bed are located whereas a bathroom with shower can be used at this floor. The main veranda offers sitting area and wonderful view of the garden and swimming pool. A word of art staircase leads to the top floor with the two master bedrooms: one with 2 twin antique beds, en-suite bathroom and two balconies and with a queen size antique bed, en-suite bathroom and balcony. 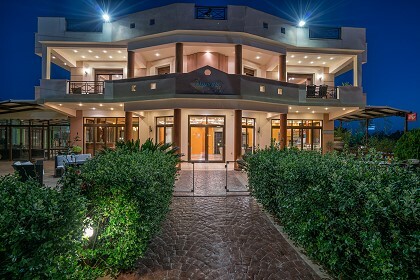 The House of Poetry is located next to the main villa and is used additionally for more than 8 guests. This house is a small cottage offering a well equipped kitchen with dining table and sitting area, a master bedroom with a queen size bed, a bathroom with shower and a loft bedroom with 2 full beds. 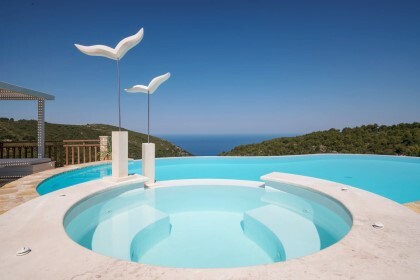 The villa offers private swimming pool with sunbeds and umbrellas, secure private parking, pool towels and daily cleaning as well as free Wi-Fi in the entire property. Other activities such as yacht rental, car and bike rentals, yoga or massage can be arranged upon request. Sarakino Villa is located in the peaceful village of Agios Dimitrios about 600 meters away from the center of the village where a few taverns and couple of mini markets can be found. 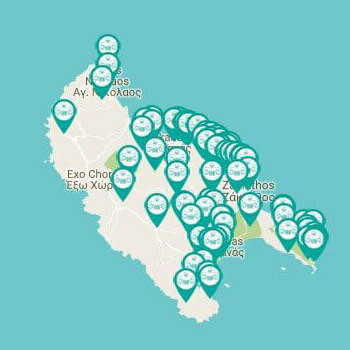 The villa is about 12 km away from Zakynthos Airport and 10 km away from Zakynthos Port. The position of the villa is great as you can choose between several routes all around the island where you can discover all the hidden beauties of the island. Car hire is advised.